FC Cincinnati (USL) and Chicago Fire SC (MLS) will meet in a nationally televised June 28 match at Nippert Stadium. 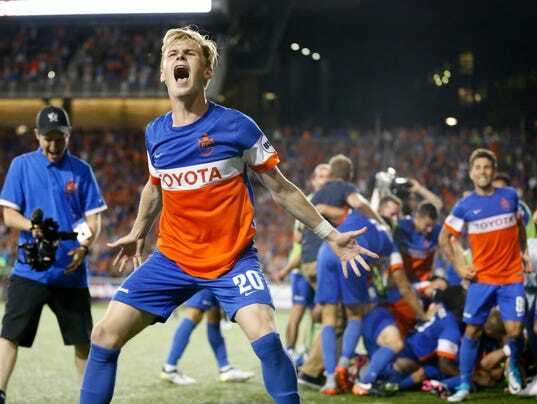 Chicago boasts one of the best teams in North America while FC Cincinnati will look to score its second straight upset of an MLS side in the Open Cup. Welcome to Cincinnati.com’s coverage of Futbol Club Cincinnati’s Wednesday Lamar Hunt U.S. Open Cup match against the Chicago Fire (8 p.m., ESPN) at Nippert Stadium. Refresh this website for live, in-game updates and analysis from The Enquirer’s FC Cincinnati beat writer, Pat Brennan. Follow Pat on Twitter for additional updates and analysis at @PBrennanENQ. FINAL: FC Cincinnati 0, Chicago Fire 0 (FC Cincinnati wins, 3-1, on penalty kicks). A superlative performance by FC Cincinnati goalkeeper Mitch Hildebrandt sent the club through to the Lamar Hunt U.S. Open Cup quarterfinals.